As the school year comes to an end, temperatures rise, and the vacation season begins; all of these are signalling the start of summer. While everyone is starting to have a good time, there is another pesky critter that that begins to appear around this season — fleas. Fleas can be the nastiest creatures on Earth due to their small size and high volume. They reproduce quickly and can lay dormant as eggs until triggered by a favourable temperature change, such as the beginning of summer. Even if a house is spot clean, a single egg that attaches to your pet from the outside can lead to a frustrating situation. As such, it is important to recognize the signs of fleas on your pet and know the necessary steps for prevention and treatment. One simple sign of fleas is to check if a pet is constantly scratching at their body. Scratching is the body’s natural response to the irritation caused by the fleas that linger on your pet. The second sign of flea recognition is if there are numerous small black specks among the fur. These small black specks are called ‘flea dirt’, a.k.a flea poop. If present, one can check for fleas by combing or ruffling the fur of the pet onto a piece of paper towel to collect a small sample of flea dirt. 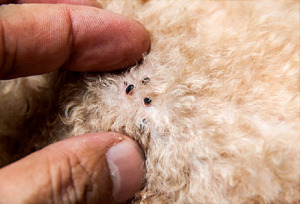 If the introduction of water to the specks causes them to turn red, then fleas are present on the animal. 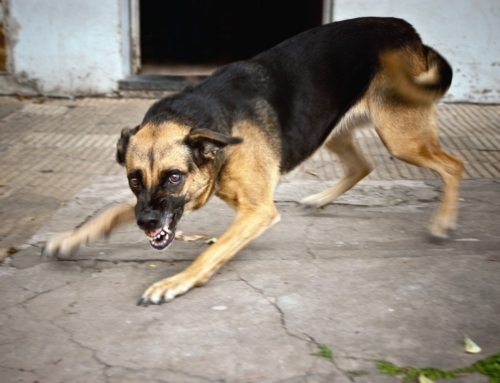 One of the main issues with fleas are the bites. 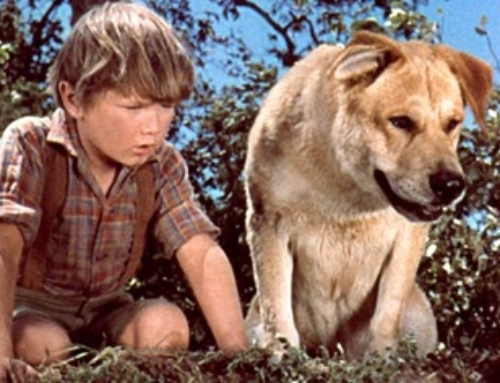 Fleas bite their hosts to draw blood; while loss of blood is not a large cause of concern, it can lead to lethargy if the animals are young or have an immunological problem. One of the more potential problems with fleas are worms, since fleas are known to be carriers of tapeworm eggs that can be released into your pet when they are bitten. If not treated properly and efficiently, the eggs will mature into adult tapeworms that can cause severe and life-threatening long-term health problems. 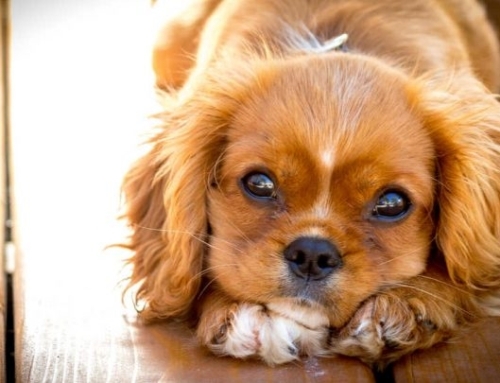 While pets can be bothered by fleas, humans can be affected as well. Fleas can transfer from pets to humans as long as physical contact is established. Flea bites on humans can result in itchy red bumps on the body that can be aesthetically unpleasant and mentally frustrating. As a result, it is important to protect yourself and your furry companion from these critters. Any veterinary professional will tell you that preventative care is always superior to treatment, but what does that entail for flea prevention? Some methods we would avoid include pet-shop brand pesticide treatments and so-called “repellents” that are more unreliable and sometimes irritating to your pet’s sensitive skin. 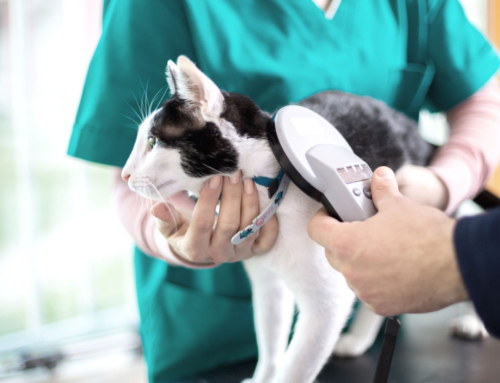 Flea collars are another method that can have inconsistent results and only affect adult fleas within the neck area that the collar is in contact with. 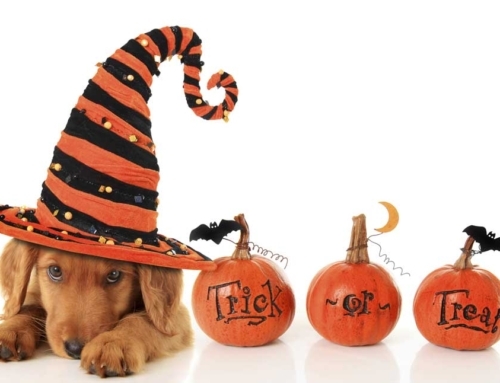 Oral tablets like Simparica (sarolaner), and Bravecto (fluralaner) for dogs and/or Comfortis (spinosad) for cats. These tablets can be flavoured and chewable for easy dosing. 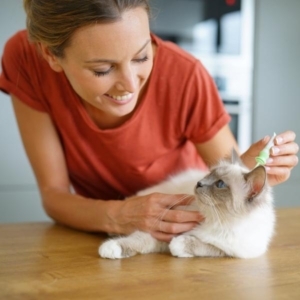 Both types of medications enter you pets’ bloodstream and redistribute in their tissue. 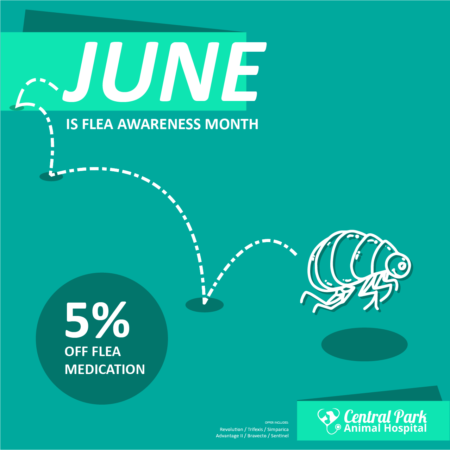 When a flea tries to feed on your pet, they ingest the medication and die, thereby disrupting the life-cycle before it can start. There are other products that your veterinarian might recommend for prevention and every medication has its pros and cons. 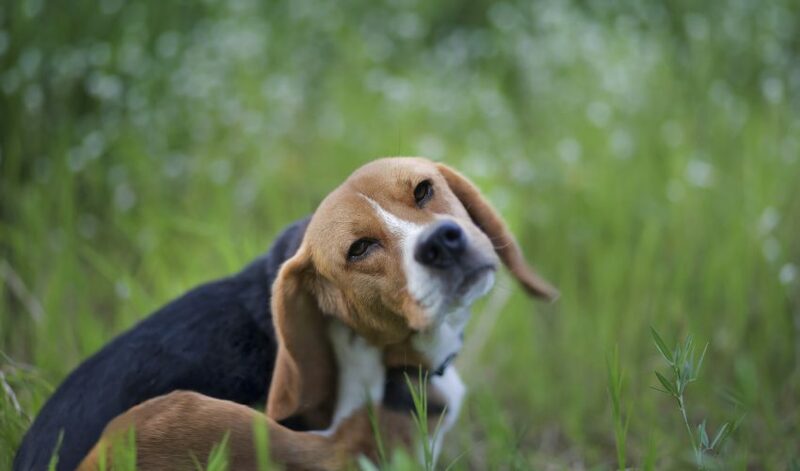 The benefit of prescription treatments is that they most often cover a variety of other parasites beyond fleas (such as ticks, mites and internal worms). Too late to prevent fleas from moving in? The good news is that the vet recommended treatments like Revolution will also kill fleas that have infested your poor pet! Better yet, it can kill fleas at every stage of their life cycle; from eggs and larvae, to adults. Another method to relieve your pet is to pick-up a good quality insecticidal shampoo. Please follow the labels on these products and only use on pets older than a few months. Next, you must turn your attention to ridding the house of creepy crawlies. Flea eggs are a special concern, because they easily fall from fur and can exist within bedding, carpeting, wood flooring and even cement. These eggs hatch within 6 days and give the fleas a chance to attack your pet and household yet again. Since fleas habitate around your pet’s favourite sleeping places the most, start by washing all bedding in hot soapy water, and consider throwing out items that may be infested. Next, give your vacuum a good workout: every household surface can benefit from vacuuming since it removes flea dirt (AKA larvae food) as well as eggs. It may be time consuming, but do not skip mattresses, furniture, curtains, etc. Touch up all your efforts using a household spray. Aerosol may be bad for the environment, but it helps the pesticide reach deep into carpet fibers and crevices to where the last stragglers may be hidden. Products by Vet Kem are also formulated for outdoor use, for yards that dogs spend a lot of time in, since flea eggs also thrive in the dirt! Lastly, if you haven’t already picked up a preventative prescription from your vet, please do so – you can get in touch to make an appointment here! No one wants to live through a flea infestation, so the time and money spent on prevention will be worth it in the long run!